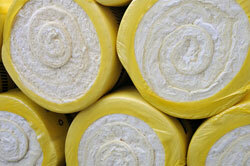 Roll insulation has been one of the most popular insulation types for attics and other areas of the home for years. It can be installed in large areas with minimal gaps, which allows it to provide outstanding thermal protection. Rolls must be precisely cut and installed to ensure they perform at their optimum efficiency. This means finding a professional contractor, like Arango Insulation, should be a priority if you’re looking to have them installed in your home. We have over 10 years of experience installing rolls, batts, loose fill and other types of insulation in homes throughout Georgia, and we’re ready to put our highly trained staff to work for you. Our staff can help you find products that fit both your budget and your needs, whether it’s fiberglass roll insulation for an attic or injected foam insulation for a wall cavity. We’re also one of the most efficient insulation contractors around, and can usually have your new insulation installed in a matter of hours. To learn more about having roll insulation installed at your home in Atlanta, Alpharetta, Roswell, Dunwoody, Jonesboro, Conyers, Sandy Springs or elsewhere in Georgia, contact Arango Insulation today.